Ukrainian White Steppe Pigs are a general purpose pig breed from Ukraine. They have a high resistance to disease and are perfectly adapted to the arid conditions of the south of Ukraine. 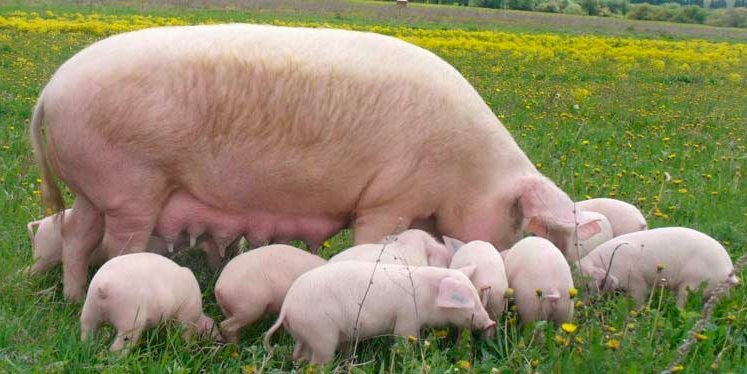 They were developed by M. F. Ivanov between 1926 and 1934 with the goal of producing a productive pig with the endurance and adaptability for the conditions of the south of Ukraine. They were developed by the crossing of local pigs with boars of Large White pigs. Males weight 335 to 345 kilograms around 180 cm long. Sows weight 230 to 255 kg and are around 167 cm long. Sows have 12-19 piglets per litter.